In first-person living history, these characters will share their struggles and triumphs as they visited and lived in the West. 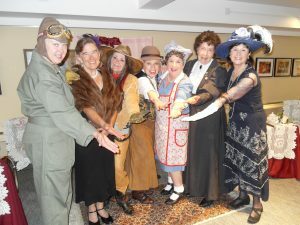 The Legendary Ladies, Inc., are celebrating 27 years of “Making History Come Alive.” From 12 shows per year in 2006, this volunteer, non-profit organization, The Legendary Ladies, now appear in 50 shows annually. They perform spirited stories in a unique format, remembering and honoring remarkable women who were often forgotten.